These wearable sensors could one day make your clothes smarter #Wearables « Adafruit Industries – Makers, hackers, artists, designers and engineers! Smart clothing is generally fairly niche, in part because it’s often not overly useful, but pack the right tech into a garment and that could change, and some newly developed sensors could help with that. Phys.org reports that the sensor, developed by Yoshiro Tajitsu of Kansai University in Japan and Teijin Limited, are piezoelectric (that is, able to convert mechanical signals into electrical signals) braided cords that could be used in fashion, sports apparel, interior design and healthcare. The sensors can respond to most movements, such as bending or twisting, and they could be used for a number of things, such as triggering a smartphone to take a selfie or, if worn as part of a necklace, monitoring your pulse rate. 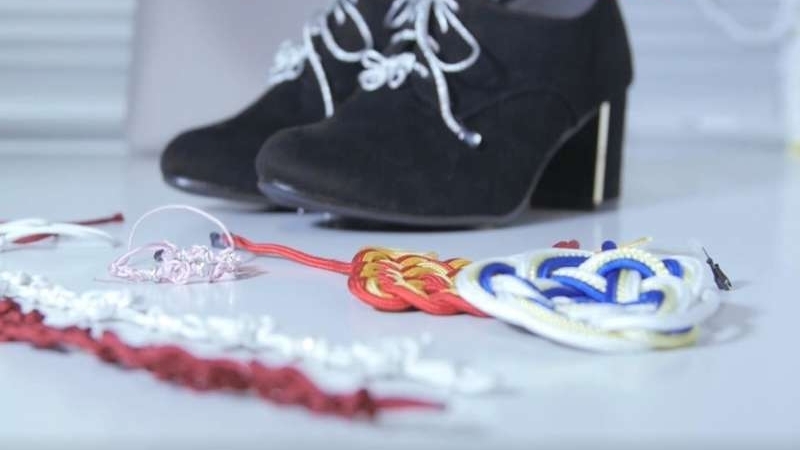 The braided cord design won’t be suitable for all clothing types, but it sounds fairly versatile, having been implemented into Japanese kimonos and shoelaces, and the people behind it say they’re also working with fashion designers in France and Italy to incorporate the cords into more clothes.